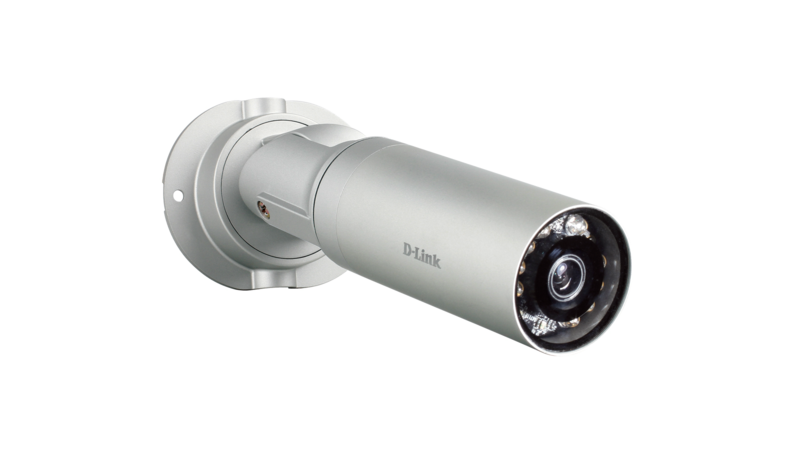 The DCS-7010L Outdoor HD PoE Day/Night Fixed Mini Bullet Cloud Camera with IR LED is a mydlink™-enabled IP Surveillance outdoor camera that lets you monitor an area 24 hours a day. A durable, rugged housing and a powerful IR LED illuminator make it ideal for all-day outdoor surveillance. 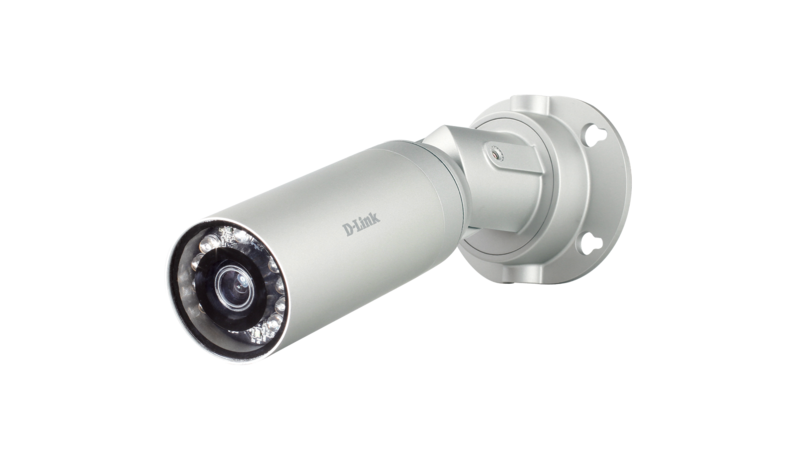 The DCS-7010L Outdoor HD PoE Day/Night Fixed Mini Bullet Cloud Camera with IR LED is a Cloud-enabled IP Surveillance outdoor camera that lets you monitor an area 24 hours a day. 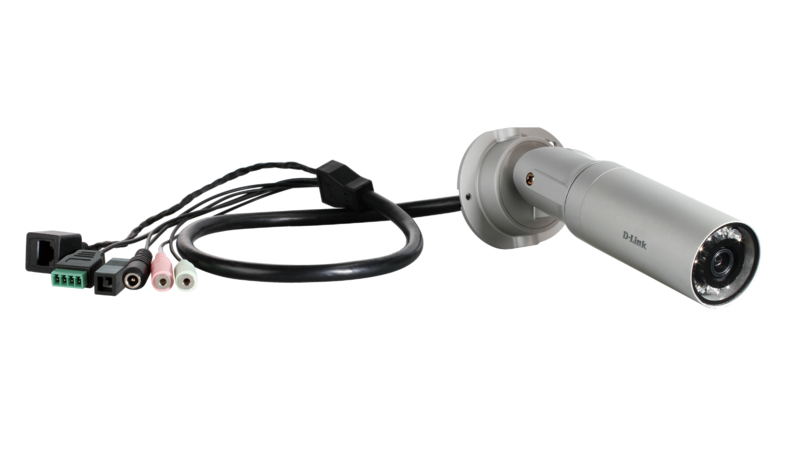 A durable, rugged housing and a powerful IR LED illuminator make it ideal for all-day outdoor surveillance. The DCS-7010L is built with a megapixel image sensor to give you high-quality snapshots and video with resolutions up to 720p HD. This gives you sharp, high-resolution snapshots and videos with rich detail. Get a closer look with ePTZ, which lets you zoom in, zoom out, and pan across your camera’s video so you can survey a large area easily. An infrared cut removable (ICR) filter is also built into the DCS-7010L, which blocks infrared light during the day for improved image quality. At night, it moves out of the way to use all available light for low-light surveillance, and paired with a powerful IR LED illuminator with a 10 meter range, this camera can monitor an area even in complete darkness. Specially built for outdoor use, the DCS-7010L has a solid metal IP-66 weatherproof housing that protects it from dirt and rain. A Power over Ethernet (PoE) port allows you to connect the camera to your network and power it through a single cable, simplifying deployment and doing away with the need for a nearby power outlet. A wire-in bracket protects cables from damage and provides a clean installation. The Outdoor HD PoE Day/Night Fixed Mini Bullet Cloud Camera with IR LED is mydlink™-enabled, which means that you can access and configure your camera remotely, no matter where you are. Using the free mydlink™ mobile app for iOS and Android smartphones and tablets, you can connect and setup your mydlink™ camera without the need of a computer. A step-by-step guide has your camera up and running in a matter of minutes. Through the mydlink™ mobile app, you can set up a free mydlink™ account allowing you to view and manage your camera from any Internet connected computer. If you have more than one camera, you can add it to your existing mydlink™ account and watch all your cameras from a single location. See your camera’s live view through the mydlink™ website, or download the mydlink™ mobile app and view your camera directly on your iOS or Android mobile device. You can even talk back through the app with 2-way audio support. Keep an eye on your home while you’re at work, or check on the office when you’re out on the road; mydlink™ makes it all possible. If you have a mydlink-enabled Cloud Router, setting up and configuring your DCS-7010L is a snap, thanks to Zero Configuration. Simply connect your camera to its power adapter and then connect your camera to your mydlink‑enabled Cloud Router with an Ethernet cable - the camera will automatically be added to your account. mydlink does the hard work for you, allowing users to set up and use their mydlink-enabled cameras immediately. The DCS-7010L comes with a wealth of features that enhance its surveillance capabilities, making it ideal for any situation. Built-in motion detection allows it to automatically record video and send you a notification when motion is detected. Audio in and out connectors can be connected to a microphone and speaker, allowing for 2-way communication and making the DCS-7010L ideal for use in entryways. The Open Network Video Interface Forum (ONVIF) is standards relating to open IP video networking. The DCS-7010L is ONVIF Profile S compliant and therefore interoperable with other manufacturer’s products on the same network such as cameras, storage systems, video analytics products and Video Management Systems. For more information on ONVIF and compatible D-Link network cameras, please click here. The DCS-7010L is a self-sufficient surveillance solution, capable of recording snapshots and video to a MicroSD card without requiring a PC or network storage device. If you want to expand your surveillance options, D-ViewCam management software is also included, giving you the ability to manage up to 32 cameras with a robust set of features, including multi-camera views and automated e-mail alerts to keep you informed of suspicious or unusual activities.